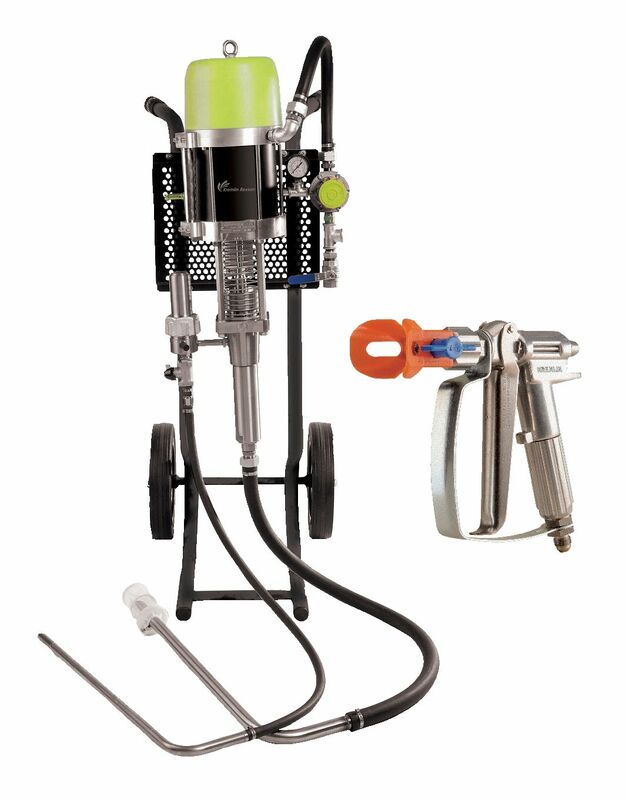 This Airless spraying unit is the initial set to access to Airless power. With a flow of 1,5 liters per minute, you will be abble to realize a fast coating works with all kind of coatings: water based, 2 components and of course all solvent based paints. Tungsten carbide needle and seat: Outstanding reliability and extended life time. 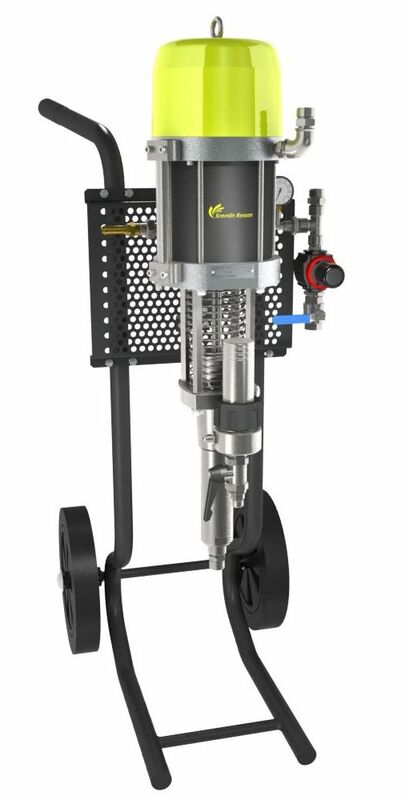 Removable handle filter: Quick maintenance and high protection from nozzle blocking. This powerfull pump is abble to feed 2 guns at the same time or 1 gun work hard works even with thick or abrasive, solvent or water based paint. Simple and Robust: Dedicated to worksite jobs, this pump has a very small number of component that allow a very simple maintenance. Stainless steel base, the pump cylinder is compatible with all kind of coatings. A large suction rod: The pump can be use with high dry extract coatings. The 53.60 pump provides uniform and easy to control delivery. This pump allows to reach 320 bar pressure and a flow rate up to 3.7 litres per minute. 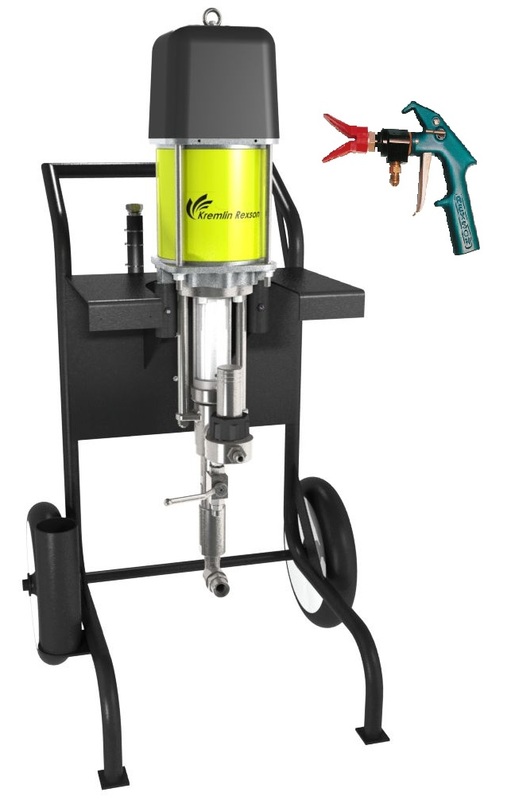 It is available with the gun REXSON dedicated to extreme AIRLESS applications. Its design with separate bedroom gun permits the application of abrasive and two exothermic.